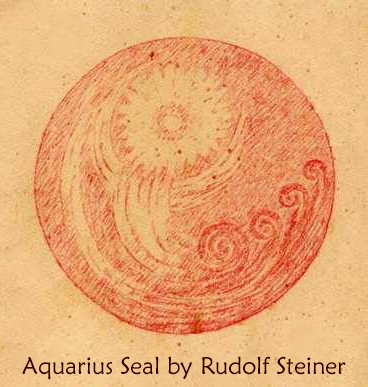 During the end of January and most of February, we are influenced by the vibrations of the Aquarius star group. The Bearer of Spirit Waters gives humanity the sound of M, which breathes through the colors of green, blue, and violet. The consonant M arises from the Aquarian pale magenta waters (spiritual soft pink enhanced with a few extra drops of active red). It molds the human essence from the energies of matter and Love, permeated with the green balance of Nature, blue contemplation of enlightened human mind, and violet royal of angelic presence. What we plant in Aquarius, will flower in Gemini, the Transformer, and mature in Virgo, the Nurturer. Hopefully, we had prepared the Soul’s soil well enough by being grateful in Sagittarius, the Guardian. May what is bounded yield to the boundless. In becoming, shaping itself to existence. Set yourself bounds, O boundless! “May what is bounded yield to the boundless,” speaks the Sun. Which ties restrain your movement? What holds you back from sharing your Light with the world? Let go of all that no longer serves you. Dissolve what restricts your wholesome growth. Venus and Mercury advise: “What feels the lack of bounds, may it create bounds for itself in its depths.” Perhaps there are some areas in your life that are a bit chaotic. Explore the mess in creative ways. Allow a fresh structure arise from the ashes. Listen to the whispers of your Highest Self to create a vision for this year. “May it raise itself in the current, as wave, flowing forth, sustaining itself,” chime in Mars and Jupiter. Saturn, the Wizard, echoes the molding energies of the Aquarian consonant M: “In becoming, shaping itself to existence.” The shape of your vision will become clear through the process of continuous soulful activity. Indeed, ponders the ever-changing Moon: “Set yourself bounds, O boundless!” We are free to be what we desire to be only if we have the discipline to walk the path of manifestation one step at the time. Overcome thy fears with the warmth of thy heart. Release the melody stored in your bones. Listen to your true song in the quiet of the Winter. Be open to the stirrings of new beginnings within. 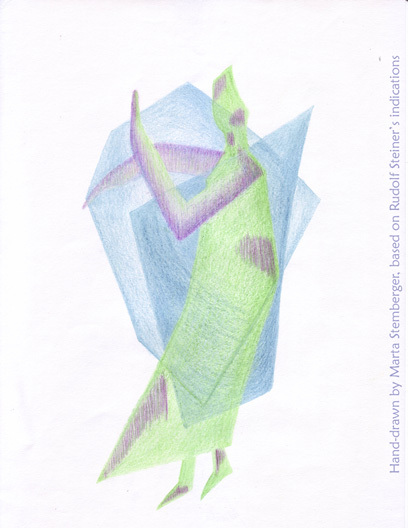 Take a few moments every day to ponder the monthly verse by Rudolf Steiner that I shared above, as well as the weekly verses from the Soulful Sparks of Inspiration. Write down in your journal any thoughts and sensations that arise in you. The influence of the Aquarian energies may be stronger for you if any part of your name contains the consonant M, or if your Sun, Ascendant, Moon, or any of the five main planets in your birth chart, are in the sign of Aquarius. You can deepen this exploration by preparing yourself with the I-A-O harmonious movement meditation and then following with the Eurythmy Esoteric Consonants meditation. Both are available for free. Behold the worlds, O Soul! Let the Spirit lay hold of being. In blossoming worlds, put trust. O Soul, comprehend the beings!